That 301 hp and 267 lb-ft of all natural torque producing 3.5L V6 goodness. Even the base 2.5L is running 203-206 hp and 184-186 lb-ft. Look at how they pretty much pulled off a RWD haunch (but only from the rear 3/4). If the Lexus ES is actually replacing the GS then I can completely see why Lexus would make that call now. Very visually emotive Camry. I like that Toyota is playing. Just proof that excessive public ridicule is morally horrific but it gets results! I still think that the designs from Toyota and Lexus are industry leading, it’s just enthusiasts aren’t ready for the aesthetic transition between cars going from machines to devices. I’m in the same boat and say we are in the Uncanny Valley of car design, but once we get through this we will have some very attractive mobility devices. Great design, NOT pretty. I know as you all actually see these in motion and out in the world there are going to be numerous posts expressing how much you didn’t hate this thing. 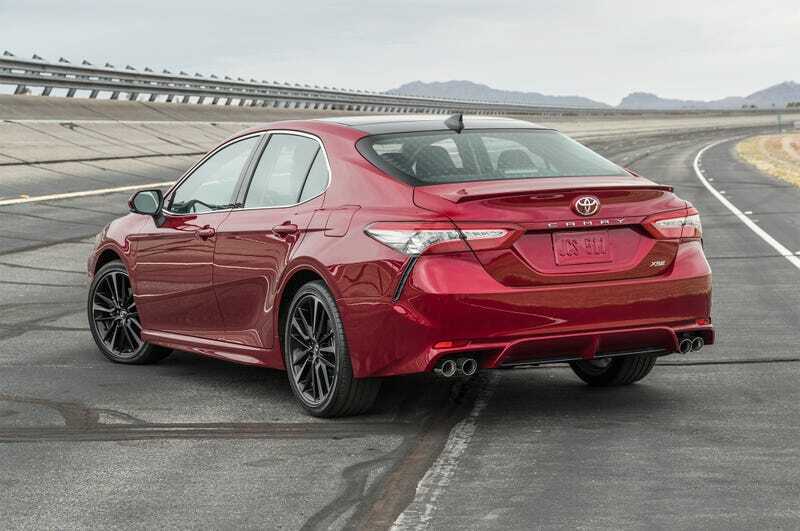 Then you’ll start seeing them everywhere with the tiny hubcaps and non-metallic paint and realize it’s still a Camry, and nothing ever changes that much in the auto industry. I’m still waiting on the new Accord and Altima since all three brands have something to prove.